Getting Hungry with "Chef's Table"
In these chefs' expertise is a lesson for all of us. Season 4 of Chef's Table was just released. My husband and I discovered this documentary series at Netflix about a year ago when a friend recommended it. Created by David Gelb, we were immediately taken in by the story telling, the force of human creativity, the striking visuals and, of course, the food. Chef's Table is not family viewing. The first season in particular features some very broken individuals and there isn't any attempt to sugar-coat their weaknesses, egos, and serious vices. 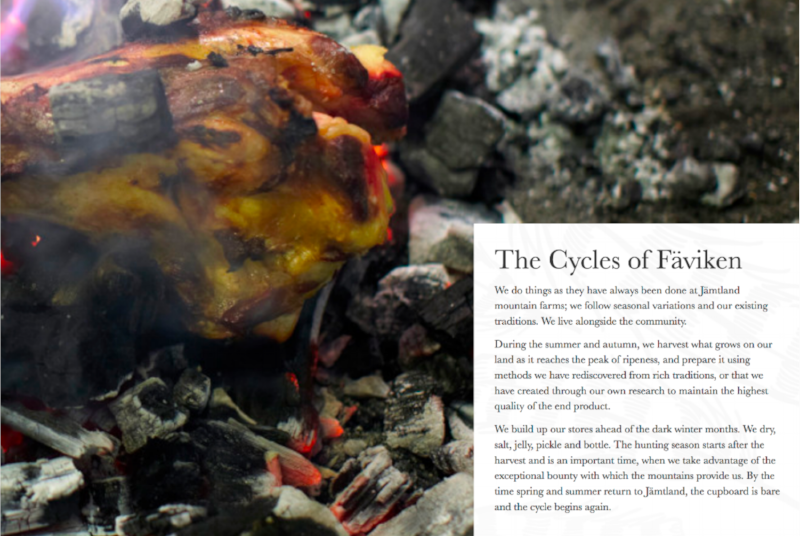 But if you can stomach raw humanity, Chef's Table offers some satisfying rewards. The series started with chef Massimo Bottura of Osteria Francescana in Modena, Italy. After an earthquake hit the Modena region, Bottura set off a world-wide campaign recruiting chef's to promote the cities prized export: parmesan cheese, also known as Parmigiano Reggiano. Hundreds of thousands of giant cheese wheels were tossed about by two successive earthquakes, destroying nearly one-third of the inventory. Bottura got to work asking high end chef's to use the ingredient in special dishes, particularly risotto, to help the cheese makers and the region to recover financially from the economic blow. Bottura became a local hero because of his the success of his efforts. 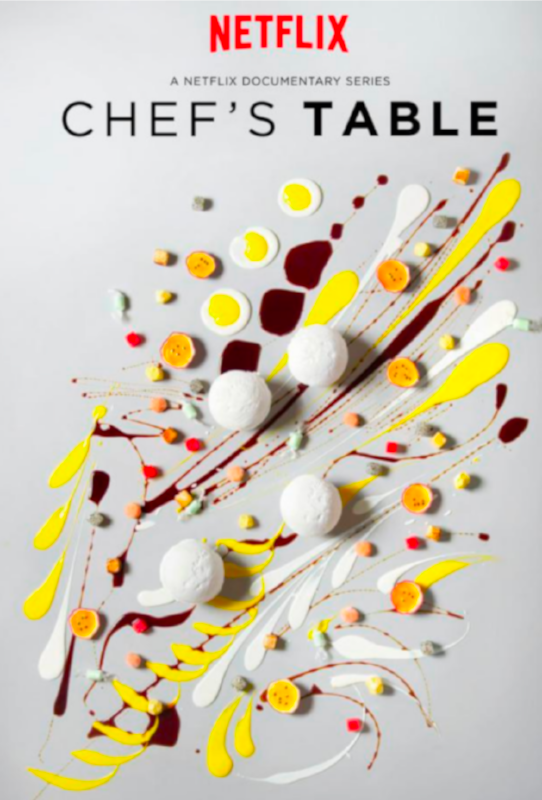 There is much more to Bottura's story featured in Chef's Table. 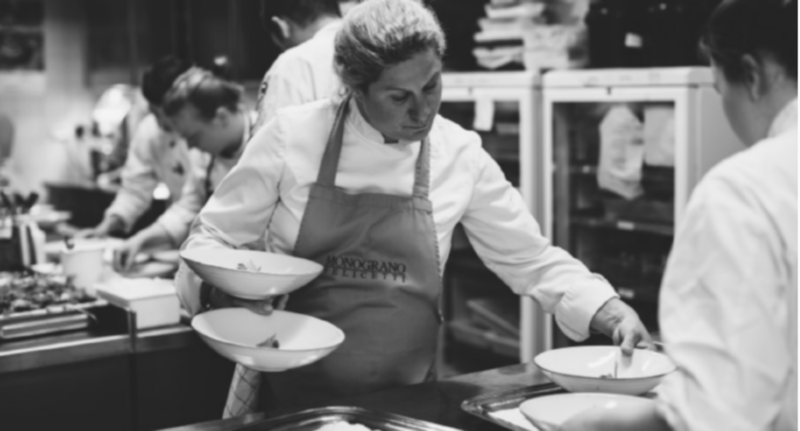 It looks at how this local Italian raggazzo became an internationally recognized chef, doing cutting edge cooking in a city that doesn't relish innovation. This is the general story line running through all of the Chef's Table biographies - how these people made it to the upper tier of cooking with a lot of hard work, know-how, intuition, risk-taking, failures, and triumphs. I love the story of Magnus Nilsson who returned to his native home in Sweden to reconnect with his family and roots, only to have his restaurant Fäviken in the middle of no where Järpen, Sweden emerge as one of the best restaurants in the world - drawing people from the four winds. Housed in an 18th century barn, the dining room only seats 12. Part of Faviken's appeal are the thirty tiny courses (yes, 30! ), delivered first in quick succession, then slowing down as the meal continues, made from local meats, fowl, fish, berries, and vegetables. Perhaps my favorite among all the episodes is about Ana Roš who didn't even start out as a cook, much less a French-trained chef. Ana and her husband, Valtor, inherited a family restaurant and she set to work teaching herself how to cook. After losing most of their loyal customers, Ana and her sommelier husband tapped into their natural talents and turned their restaurant into something far surpassing anyone's wildest imagining. Hiša Franko in Kobarid, Slovenia today is in the top 50 restaurants in the world. It's standout dish is Black barley, oyster and mortadella with drops of lovage oil. What struck me the most about all of these stories of success, failure, and ultimately hyper-success among the most elite restauranteurs in the world is one common moment in the lives of all these men and women. It isn't played up, it is there in plain sight. It is that moment when each of these chef's realized that they had been on a path of someone else's design and in a flash or maybe over a longer season of life, they all realized that they had this interior sense of who they were and who they wanted to be as a chef. They had to tap into their own genius, direction - finding a way to express themselves on a plate. There is a lesson for all of us in watching these maestros of meals that no matter what our trade or our craft might be: There are certain lessons we must learn and master before real innovation can happen. Most of the chef's learned French cooking. Once that foundation was mastered, then their unique style was stamped into the work. The same is true with other crafts - woodworking, book writing, piano, painting, or archery. And the same is true in the moral life. We first must master the basics - the 10 Commandments, the moral teachings of the Church, and then as we grow in holiness, our own style, genius, and spark can come through. The saints' lives, like great chef's, witness this beautiful truth.